SAMP has digitized rare holdings of the weekly newspaper Svadeśa for the years 1919-1929. 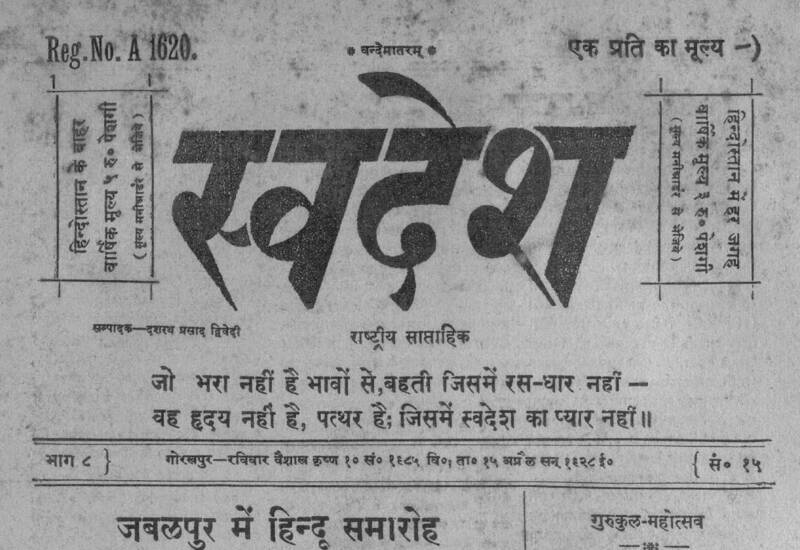 This newspaper was published in Hindi in the city of Gorkhpur, India. This digitization project was proposed and led to fruition by James Nye, Bibliographer for Southern Asia at the University of Chicago.